Kim Kardashian West is the latest to step out sporting the of-the-moment beauty look: no makeup at all. While we're shocked to see such a move come from the queen of contouring, especially at such a public, photographer-filled event like the Balenciaga show at Paris fashion week, Kardashian always stays on top of (and often sets) the trends. This beauty look is certainly trending. Braving a bare-face couldn't be more timely—no-makeup makeup and no makeup at all are the most sought-after looks. All Kardashian claims to be wearing is moisturizer, yet her complexion couldn't be more flawless. Mario Dedivanovic, Kardashian's longtime makeup artist, posted a photo of the beauty look on Instagram accompanied by the caption, "No makeup today at @balenciaga...Moisturized #ByMario." 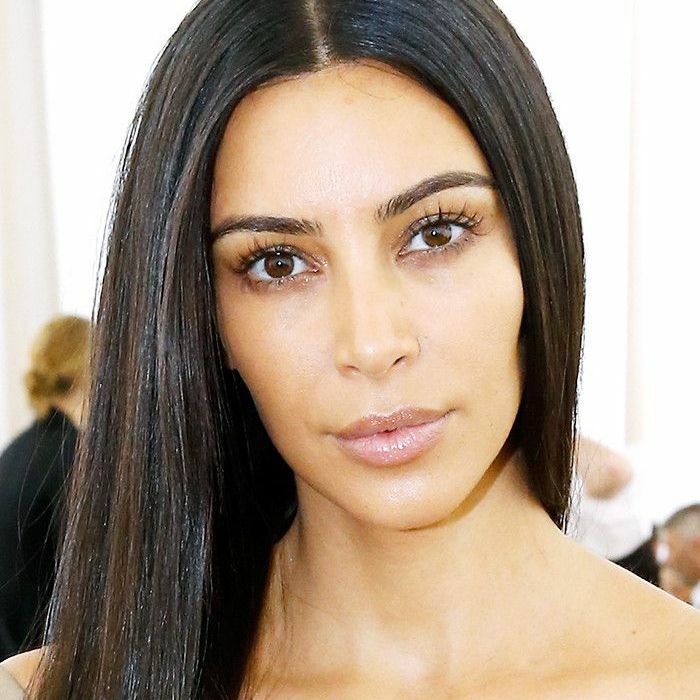 Though it's certainly a departure from Kardashian's typical made-up visage, it's refreshing to see the trend's walking antithesis embrace the bare-faced beauty look with such ease (and success). How do you feel about the no-makeup look that's having a serious moment? Tell us in the comments.